While preschool is not mandatory for any child, introducing your child to the school environment as early as possible can be very beneficial when it comes to kindergarten preparation and readiness. In fact, children gain a lot from going to preschool or pre-k daycare because they become exposed to numbers, letters, and so much more! At A World of Discoveries, we offer daycare preschool in Columbia, MO. 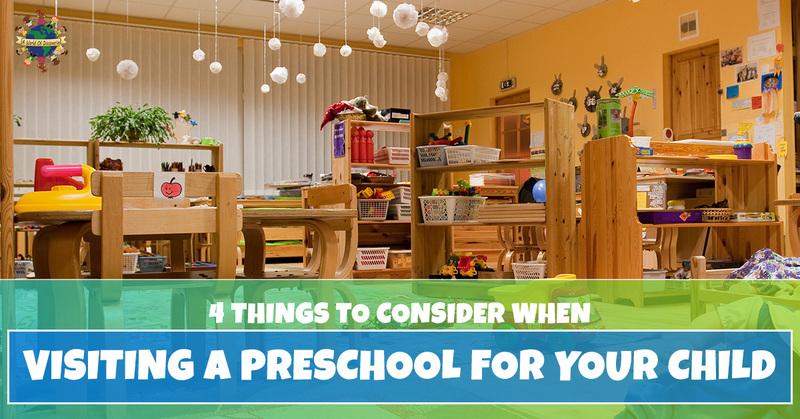 Choosing a preschool program can be scary and overwhelming for some parents, but we are here to put your mind at ease by sharing some great reasons why Pre-K daycare is beneficial for your child. For many children, preschool is their first experience in a structured setting with teachers and other children. Preschool programs create an opportunity to learn to share, follow instructions, and begin the foundation for learning that will occur in elementary school. As mentioned, preschool is one of the best ways to ensure your child is prepared for kindergarten. However, some parents are concerned with the focus on certain skills, such as literacy or math, will cut into important playtime and pushes a child to grow too fast. Fortunately, a high-quality preschool program will offer a bit of both. Many pre-k programs at daycares are based on learning through play, so you can rest assured that your child will be having fun! High-quality preschool programs will teach children how to compromise, be respectful towards others, and problem solve. Plus, the activities involved in these programs help children gain a sense of self, exploration, and build confidence. They will learn wonders, from simple tasks like pouring their own juice, to tackling bigger problems like decision-making. The structured environment of preschool programs can help young children learn to make friends and play well with others. Classroom space is set up to encourage social interaction, and minimize congestion and conflicts. Preschool programs have a variety of activities for children to choose from. With all the choices, children are encouraged to pick an activity that interests them most. Teachers are always available to assist children that don’t know what to do, helping them find something that interests them. Preschool programs offer a language-rich environment that can help nurture children’s language skills. Between the ages of three and five, a child’s vocabulary grows from 900 to 2,500 words, and their sentences become longer and more complex. Teachers help promote language development by asking thought-provoking questions and introducing new vocabulary throughout the day. A child’s cognitive skills are also improved by engaging in a wide range of hands-on activities. These are just a few of the many reasons why you should enroll your child in a quality preschool program. If you are searching for a preschool in Columbia, MO, A World of Discoveries Daycare will help your child build the knowledge, skills, and confidence to do well in kindergarten. If you are interested in learning more about our daycare services, contact us!